We generally get asked this question a lot and while it is quite a complex task for a newer web developer I will try to outline all the steps required to make this addition properly. There are multiple files we will need to modify in this Tutorial so before I get started I recommend creating a full site backup in case something goes wrong. 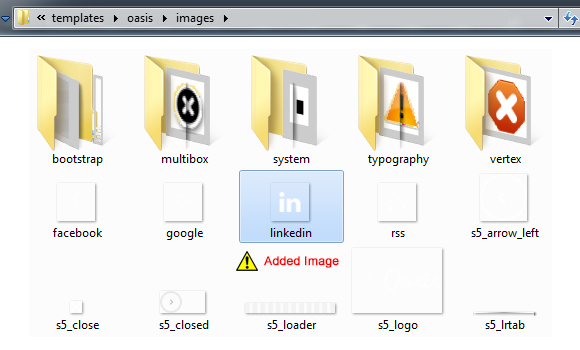 If you do not intend to use a specific pre-programmed social icon on your site such as "RSS" you can simply swap out the rss.png icon on the server with a different social icon. 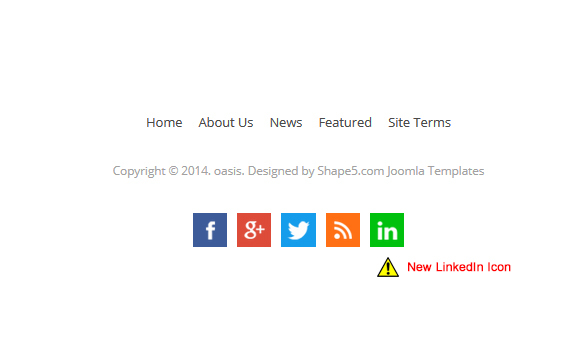 Then in the RSS input box in the Template Manager you can add a link to any site matching your new icon. What Was Added #1 $s5_linkedin !=""
TPL_FACEBOOK_DESC="Enter the text you desire for the facebook button. To disable simply leave this field blank." TPL_TWITTER_DESC="Enter the url you desire for the twitter button. 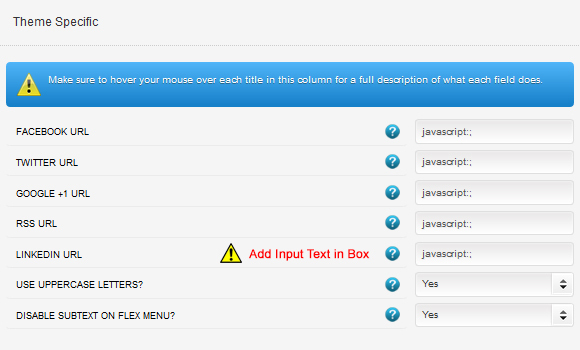 To disable simply leave this field blank." TPL_GOOGLE_DESC="Enter the url you desire for the google plus one button. To disable simply leave this field blank." TPL_RSS_DESC="Enter the url you desire for the rss button. To disable simply leave this field blank." TPL_LINKEDIN_DESC="Enter the url you desire for the linkedin button. To disable simply leave this field blank." Step 7: Clear your cache and reload the page. You should now see your new LinkedIn Icon!